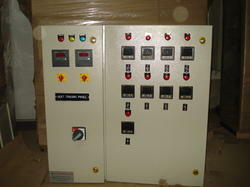 We are one of the leading manufacturers and suppliers of industry-leading Electrical Control Panel. 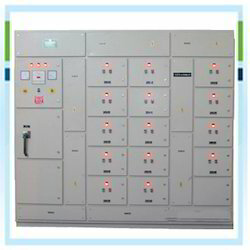 Our superior range of electric control panels are used for industrial purposes, generator panel building or residential organization purposes. As a leader in the industry, our products are preferred in the field of industrial automation & distribution systems. We are one of the most reliable names in AMF Panel and deliver only rigorously tested and flawless panels to our clients across the country. 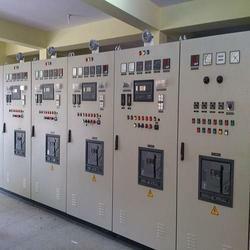 We offer various types of power and electrical control panels which include crane control panels, outdoor kiosk, motor control center, AMF panels, distribution boards and more. 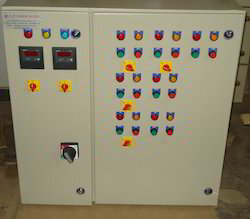 Clients prefer our control panels because they get the best quality at competitive prices. A. P. Associates is looking for bulk enquiries from Delhi,Noida, Jaipur, Lucknow, Kanpur, Indore, Bhopal, Ghaziabad, Ludhiana, Agra, Faridabad, Meerut, Varanasi, Amritsar, Allahabad, Jabalpur, Gwalior, Jodhpur, Kota, Chandigarh, Bareilly, Moradabad, Gurgaon, Aligarh and all across North India. Our hi-tech PCC Panel communicate process variable information to automatically sequence equipment or provide a signal to operators for manual operation. Featuring electromechanical and solid-state solutions, our PCC Panel can lower your total operating costs by helping to improve processes and systems. We manufacture and distribute Heat Tracing Panel that undergo point to point verification of all wiring and functional testing. Prior to deployment, each control panel is comprehensively tested on all performance parameters. We also provide onsite factory acceptance testing of the completed units to ensure its functional performance. To survive market demand effectively at the time, we are engaged in providing premium quality Automation Panel. By our ingenious professionals the offered panel is manufactured at our modern production unit using pristine quality components. 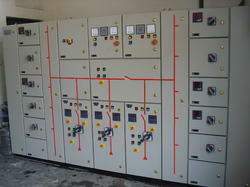 Tested on several parameters to enhance its functionality, this panel is finds its applications in power supply system. Additionally, the provided panel can be purchased from us at budgeted rates. We have a long history of developing industrial products and obtaining client utmost satisfaction by providing this MCC Panel. 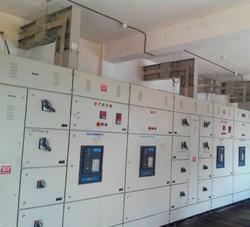 It is extensively used for restoring and supplying power to various industries according to their needs. Under the visionary guidance of our deft professionals this panel is intricately manufactured using supreme quality components with the aid of progressive techniques. In addition to this, our prestigious patrons can easily avail this panel at the most competitive price from us. To get aware of stiff competition and market demand, we are engaged in providing a fine array of APFC Panel. 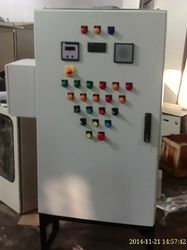 The offered panel is manufactured using optimal quality components under the guidance of our ingenious professionals with the aid of innovative techniques. 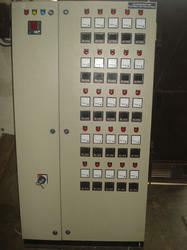 This panel is widely used to supply efficient power supply at houses, offices, industries. Further, the offered panel can be easily availed from us at most competitive prices within committed time frame. Our type tested Bus Trunking System are manufactured to match international standards and specifications. 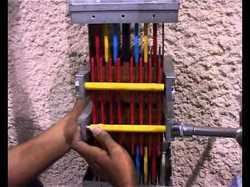 They are designed for efficient transmission of power from the generator or transformer to the switchboard. They are recommended for a variety of applications as feeder and distribution trunking tools. 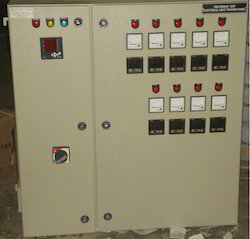 We offer a wide range of Electrical Control Panel which are compact in design and robust in construction. They are available for use instantly for various industrial applications. Our panels have been installed in numerous industries and have been delivering peak performance that helps companies meet their production objectives. A. P. Associates is looking for bulk enquiries from Delhi, Jaipur, Lucknow, Kanpur, Indore, Bhopal, Ghaziabad, Ludhiana, Agra, Faridabad, Meerut, Varanasi, Amritsar, Allahabad, Jabalpur, Gwalior, Jodhpur, Kota, Chandigarh, Bareilly, Moradabad, Gurgaon, Aligarh and all across North India. We design and manufacture the finest electrical service Feeder Pillars including heavy duty single and double door feeder pillars in high quality galvanized steel. Our feeder pillars are designed for housing multiple distribution boards and electrical switches whilst maintaining excellent protection from all weathers. They can be supplied as shell only or pre-wired to meet customers’ specifications. 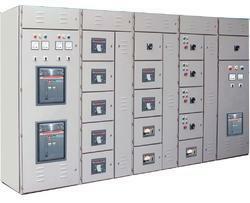 Leveraging on our vast industry experience, we are able to offer an excellent quality range of LT Panel. It is widely used in electrical industries to supply regular flow of power. The offered power supply is manufactured under the stern guidance of our diligent professionals using quality approved components with the aid of pioneering techniques. It is widely examined on several set parameters to ensure its optimum performance. The offered panel is available with us at most nominal rates.